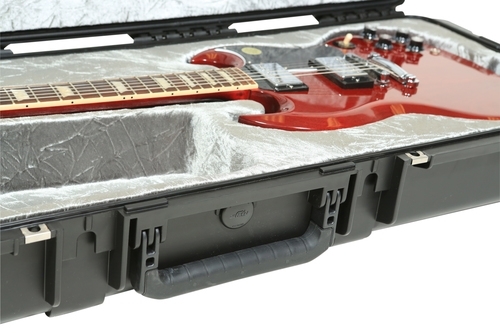 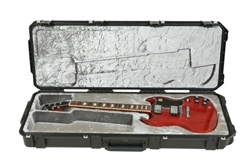 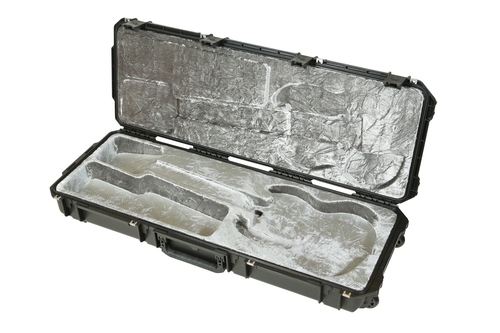 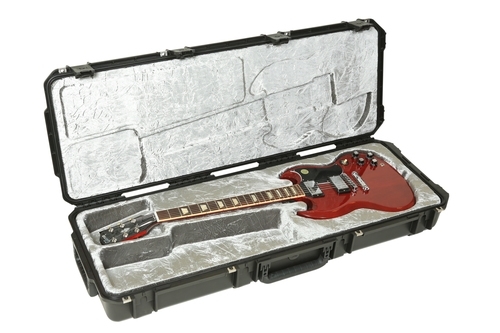 The iSeries ultimate guitar case line continues with the introduction of the 3i-4214-61 Watertight Injection molded guitar case. 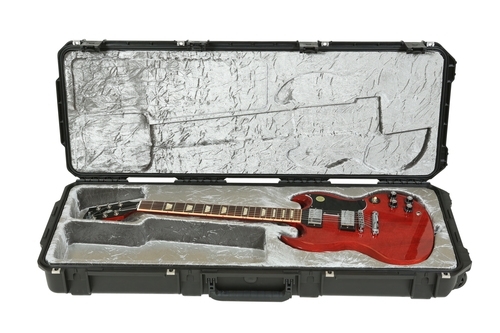 The iSeries 4214-61 will accommodate most SG® Style Guitars. 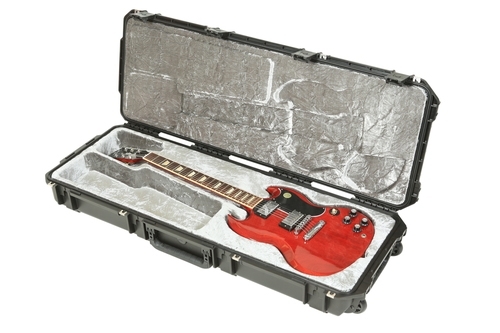 iSeries injection molded waterproof cases are constructed of ultra high-strength polypropylene copolymer resin and feature a gasketed, waterproof, submersible design (IP67) that is resistant to corrosion and impact damage. 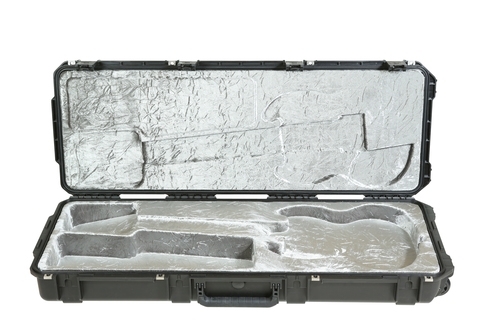 Its molded-in hinge, patented "trigger release" latch system with TSA recognized and accepted locks, four reinforced locking loops for customer supplied locks,comfortable, snap-down rubber over-molded cushion grip handles, secure stacking, and automatic ambient pressure equalization valve (MIL-STD-648C) all contribute to its military grade design. 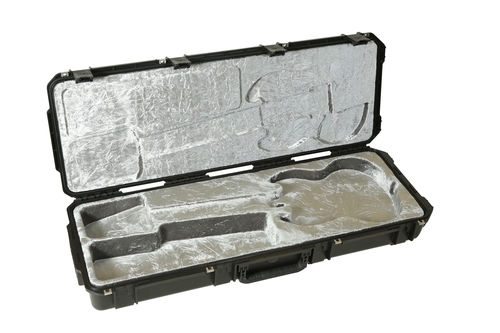 The platinum plush interior provides total neck support and protection on all sides.